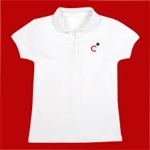 Teen Girl Scout apparel and accessories to fashionably complete your wardrobe. Open ended for easy tying and adjustable fit. This great cookie t-shirt lets everyone know that not only do you sell Girl Scout cookies, you help make a difference in the world! Royal blue girls fit t-shirt with a Superhero Samoa design, reading "Saving the World, One Cookie at a Time!" 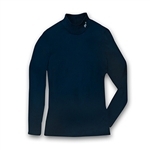 All-season attractive mock neck in Navy. Embroidered Girl Scout Shorthand on neck. Slightly shaped. Cotton/polyester knit. Imported. Also available in Lime and Orchid. 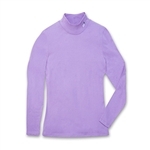 All-season attractive mock neck in Orchid. Embroidered Girl Scout Shorthand on neck. Slightly shaped. Cotton/polyester knit. Imported. Also available in Lime and Navy. All-season attractive mock neck in Lime Green. Embroidered Girl Scout Shorthand on neck. Slightly shaped. Cotton/polyester knit. Imported. Also available in Orchid and Navy. This great cookie t-shirt lets everyone know that not only do you sell Girl Scout cookies, you help make a difference in the world! Royal blue girls fit t-shirt with a Superhero Samoa design, reading "Saving the World, One Cookie at a Time!" Smart polo with side slits at hem. Slightly shaped. Cotton/polyester pique knit. Imported. Show off your troop pride with this great Troop Rules tee! These great new shirts are available in both youth and adult sizes.